Shaheen Rajabally, the founding owner of Natura Sugars, was born in Mauritius into a family of sugarcane farmers. 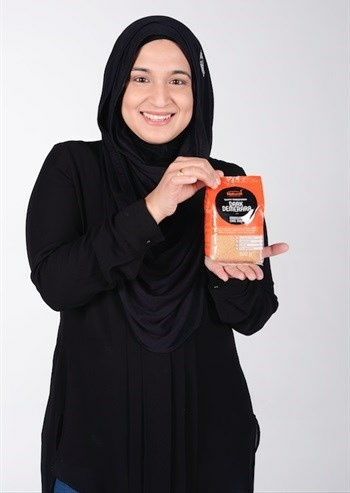 Rajabally launched Natura Sugars - the only range of truly unrefined sugars in South Africa and exclusively sourced from Mauritius - to educate South Africans on the importance of unrefined sugar and fair trade farming in Mauritius. Unlike normal table sugar, unrefined sugar has not been bleached, irradiated, nor decolourised by ion exchange. This preserves the natural molasses film that surrounds the sugar molecule, creating intense flavour and added health benefits. Natura Sugars is now being sold in Pick n Pay stores nationwide, all Shoprite Checkers stores across the Western Cape, selected Spar and Wellness Warehouse stores, Pick n Pay Online Shop and Faithful to Nature. I decided to start Natura Sugars when I noticed a gap in the market in the sugar category. Whilst popular on European supermarket shelves, truly unrefined sugar was not available to consumers in South Africa. What makes Natura Sugars unique? We are the only range of truly unrefined sugars which are strictly non-GM. There is no genetically modified cane in the sugarcane fields in Mauritius, hence sugar produced is not derived from or contaminated with transgenic (genetically modified) cane. What are the biggest challenges you faced as an entrepreneur and how did you approach and overcome these challenges? Creating awareness and educating the public that not all sugars are the same was vital with the launch of Natura Sugars. We have and continue to do this with a strong social media and media presence. I have a PR agency generating coverage as well as a social media team that assist me. What are the most significant challenges in the sugar industry itself? Sugar has had a bad rap recently but we are here to bring a breath of fresh air to this established industry and provide a different perspective on sugar. Indeed, a study recently conducted by the Mauritius Research Council at the University of Mauritius has revealed that Mauritian special sugars have antioxidant capacities, which brings health benefits to its consumers. What’s in your entrepreneurship toolbox? What advice would you give other entrepreneurs in the industry? Always source the best quality product! What does the future hold for Natura Sugars? We are launching a selection of Natura Sugars in Clicks pharmacies, including our new Molasses Sugar and we look forward to building a strong relationship with Clicks’ health-savvy consumers. We are all excited to share the better side of the magic ingredient that unrefined sugar is.